Room 20: Super Star Tao! 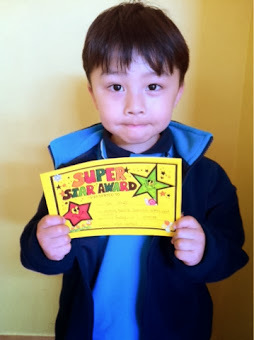 Today Tao received the certificate in Junior school assembly. He has been working very hard at home and at school to learn all his letters and sounds. Well done Tao!